Successful meetings and corporate events have a million moving parts. Successful meetings and corporate events have a million moving parts. The most important aspect of your meeting is the content you provide and value you offer attendees. The most important aspect of getting attendees to your meeting, however, may be the space you select. Here are a few essential things to consider when deciding on where to hold your next corporate gathering. When choosing a corporate event space, location is far more than a place on a map. An ideal venue is convenient for attendees who are traveling, offers local attractions and scenery that will get people excited about visiting the area, and will provide a great first impression. Naturally, you want your event space to satisfy the needs of your event. Do you need a massive meeting space for a popular keynote speaker? Will you be offering several small group presentations or workshops at one time? Are you planning a formal welcome reception or casual social mixer? Chances are, your event will need a combination of room styles and setups. At The Otesaga Resort Hotel, we offer over 30,000 square feet of meeting space. As a result, we can accommodate large, elegant receptions as easily as smaller board meetings. The first impression attendees have of your event upon arrival is actually their first impression of the venue. The surrounding area, the venue grounds, and the onsite buildings can set the tone for your event even before your participants check-in to their rooms. A venue with well-kept grounds and pleasant surroundings makes it easy for guests to refresh mid-conference by simply stepping outside. At The Otesaga, our lakeside location offers stunning views and easily accessible bike and walking paths. Where to hold your meeting is one of the first and most important decisions you make in the planning process. The location, meeting room flexibility, and overall appearance of a venue can all have a significant impact on the success of your event. 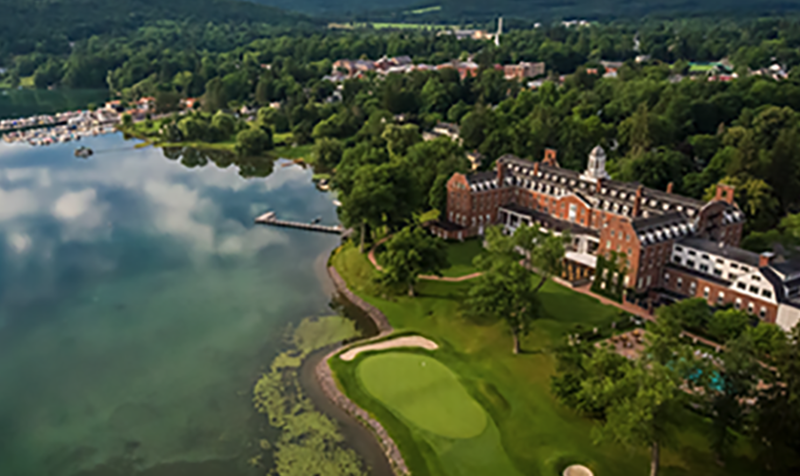 Located in Cooperstown, NY along the shores of the picturesque Lake Otsego, The Otesaga Resort Hotel is the ideal site for your next corporate event. For more information, or to submit an RFP, contact us today.